are the remains of a smaller unit. 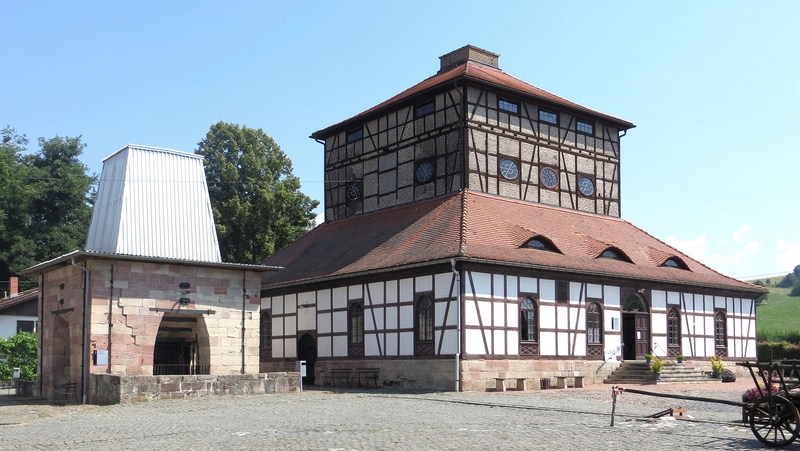 The second picture shows a model of the smelter in the building. available at the Schmalkalden Museum. It is essentially correct even so I'm not sure I subscribe to the correctness of every detail. the smelter. You translate it; here is some help. Here is a map of what was going on during the Bronze Age Collapse. but had problems on their outskirts; the Egyptians lost their Northern colonies, for example. Everybody else was in deep trouble. bound sea people prisoners to captivity. Kültepe is on the Wstern end of that route. as exhibited in the Archeological Museum in Çorum. 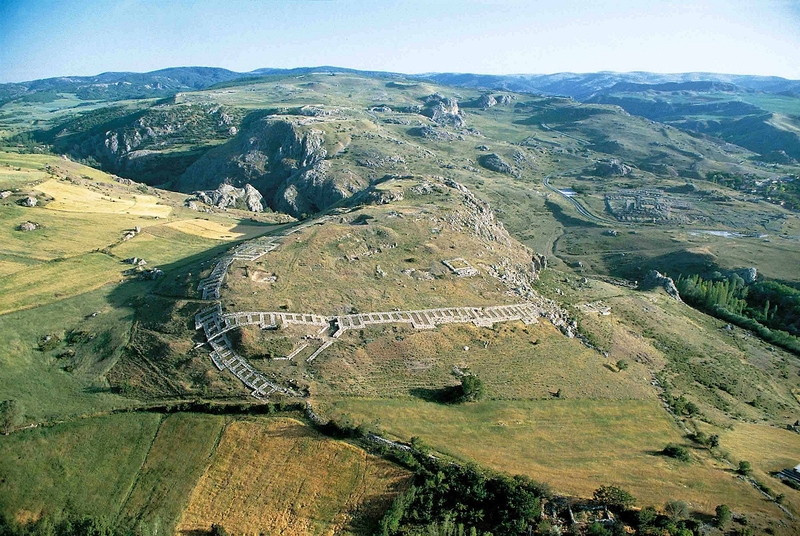 Here is picture of present day Hattusa. Here is the original photograoph of King Tut's iron dagger. 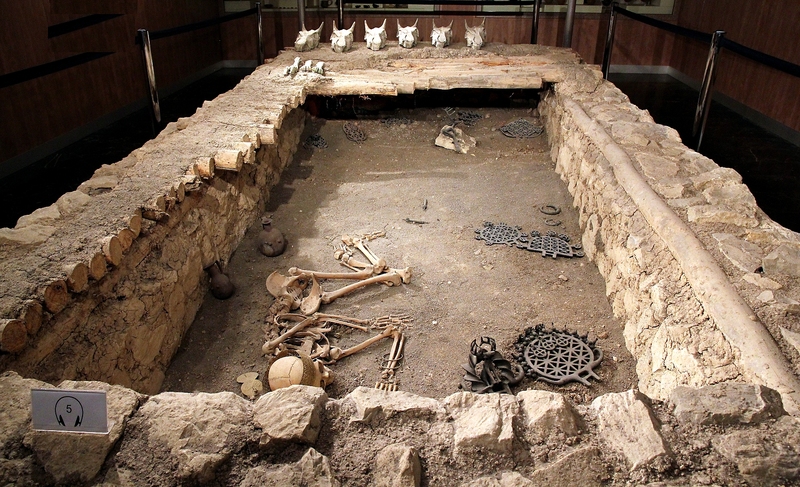 that was used as a metal workshop in Yumuktepe. Source: Provided by Isabella Caneva; Thanks! Here is a bloom produced in an effort to duplicate the making of "Ferrum Noricum"
and carbon concentration in the places shown. Here is picture from the power point presentation of Prof. Hadi Özbal, showing small "old iron" things. 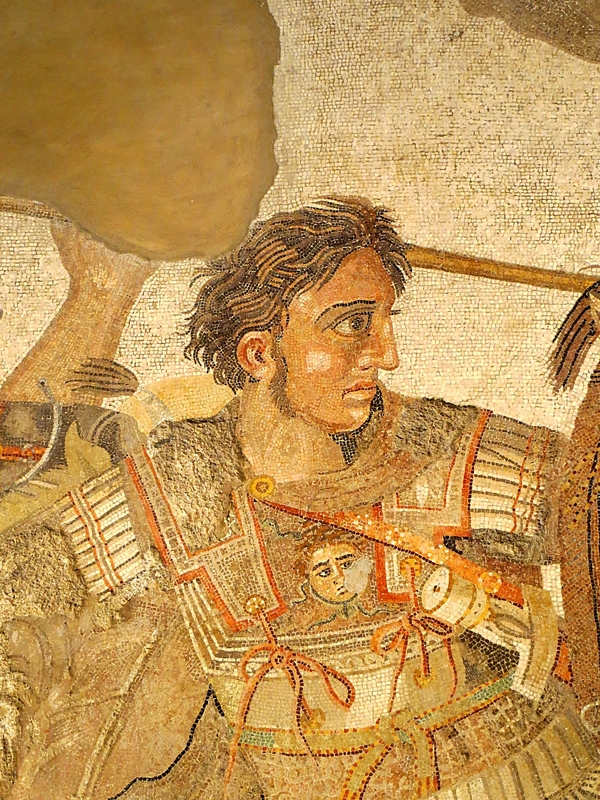 The picture of Alexander the Great is actually not a picture but a mosaic. Shown is just a tiny part of the whole mosaic that is marvelous to behold even so large parts have been destroyed. Here is a large picture of just Alexander; notice the hilt of his sword. The Alexander Mosaic, dating from circa 100 BC, is a Roman floor mosaic originally from the House of the Faun in Pompei.
] The original is preserved in the Naples National Archaeological Museum. The mosaic is believed to be a copy of an early 3rd-century BC Hellenistic painting. ("333 bei Issus Keilerei" we had to learn in High School).